In a victory for wildlife, the Bureau of Land Management (BLM) has withdrawn the permit it issued that would have allowed a multi-year wildlife killing contest to take place on more than three million acres of public lands in Idaho. 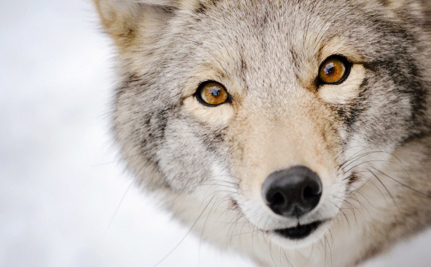 The controversy started last year when a hunters’ rights group ignited outrage after it decided to hold the first predator killing contest targeting coyotes and wolves in decades. Despite the trouble it caused, the group, Idaho for Wildlife, came back this year seeking a Special Recreation Permit from the BLM that would allow it to hold more of these contests on public lands annually for the next five years, with the first one scheduled for the beginning of this January. The “hunt” would have allowed up to 500 participants, including children, to compete in a three-day event with the goal of killing the most wolves, coyotes and a number of other species for cash and prizes. Wildlife advocates raised concerns about how killing in the name of fun and recreation harms wildlife, threatens public safety, conflicts with public land uses and supports the same mentality that led to the eradication of species like wolves in the first place, in addition to pointing out the vital role predators play in maintaining healthy ecosystems. Despite an outpouring of public opposition – including over 28,000 petition signatures from the Care2 community and comments from organizations including Project Coyote, the Western Watersheds Project and WildEarth Guardians, among others — the BLM granted the permit. It also simultaneously denied a permit request for a “wildlife viewing” contest submitted by conservation organizations. Now the BLM is backing down after several wildlife advocacy organizations headed to court earlier this month to stop this event from taking place. Defenders of Wildlife, the Center for Biological Diversity, Western Watersheds Project and Project Coyote sued the BLM and Idaho District Manager Joseph Kraayenbrink seeking an injunction, arguing that the permit flies in the face of everything that has been done to help restore wolves to the landscape and that the agency failed to fully assess how it would impact the environment and public safety. WildEarth Guardians, Cascadia Wildlands and the Boulder-White Clouds Council simultaneously filed a nearly identical lawsuit that also faulted the U.S. Forest Service for failing to require a permit or analyzing the contest’s impacts. As they celebrate the news, wildlife advocates are also still working to stop these wildlife killing contests from taking place elsewhere. In California, the Fish and Game Commission is preparing to vote next week on whether or not to ban this type of barbaric event throughout the state. Those supporting the proposed ban are hopeful the commission will vote on the side of wildlife and that a win there will help set a precedent for other states to follow. That's really good news - for now! Awesome. Hopefully this will be a permanent ban. All the other USA coutries need to do this, by the way. I don't trust the BLM. They cater to fat wallets and will make back door deals with the highest bidder.